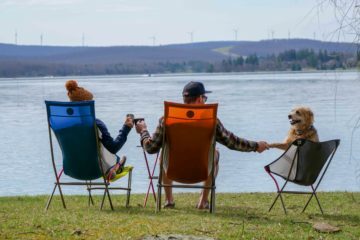 And the Winner Is…Budweiser Select? Budweiser Select won the gold for American style Lager at the most recent Great American Beer Festival. Miller High Life won the silver. Pabst Brewing Company won the bronze with their Special Export. I don’t even know what the hell their Special Export is (but I want to try it!). I’ve got nothing against Budweiser or Miller or Pabst. I drink all of those beers. But are they medal winners at this country’s quintessential beer competition? Are these grocery store standards still topping the charts when craft breweries are now making solid representations of lagers? Maybe. Maybe Budweiser’s got the lager dialed down so damned good, the little guy doesn’t stand a chance in that category. Or maybe gold medals don’t mean much, or maybe nobody else bothered to enter their lagers in the GABF. I don’t know. What I do know, is there are a number of great craft lagers out there for you to try, even if they don’t have gold medals swinging from their necks. Lagunitas and Bell’s both make a tasty lager (no, “tasty lager” isn’t an oxymoron). Devils Backbone, out of Virginia, makes the Gold-Leaf Lager, which actually won the silver in the American Style Pilsener category at this year’s competition. 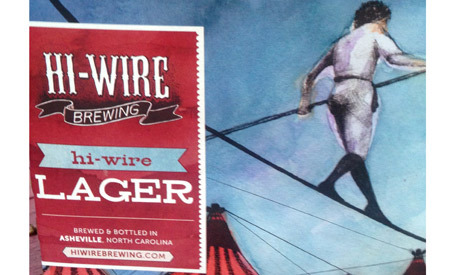 I like the lager put out by Hi-Wire Brewing, a new brewery out of Asheville. It’s unfiltered, light-hopped, light-bodied, light everything except for taste. This is a solid lager, people, straight down the style standards, and it’s become my go-to easy-drinking beer. If Budweiser Select is the gold-medal winner for Lagers, then this puppy should go platinum.